JET Agriculture 2019 Application Form can be filled till 2nd April 2019. Candidates can check this article for How to fill JET Agriculture 2019 Application Form in step-by-step procedure. 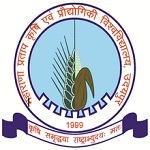 Maharana Pratap University of Agriculture and Technology, Udaipur conducts the Joint Entrance Test. It is a state level entrance exam through which candidates can get admission in the first year of the B.Tech (dairy and food technology) and B.Sc (agriculture, horticulture, forestry). It is also well known by the name of Rajasthan JET. Candidates can get admission in the various government and private agriculture institutions in the state. In this article, candidates can check the How to fill JET Agriculture Application Form 2019 in detail. JET Agriculture 2019 Application Form can be filled till 2nd April 2019. Check here for application form details. JET Agriculture application form can be accessed and filled through online mode only. Online application form has been started from 20th February 2019 and will be available till 2nd April 2019. Candidates should carefully fill the application form because the candidature of the candidate will be considered on the basis of information provided on application form by the candidate. The application form can be submitted/printed only after the payment of application fee. Candidates have to submit the scanned images of documents in pdf format. Keep a printout of the filled-in application form till admission in the institution. The application fee is Rs. 2800/- for Unreserved/OBC/SBC candidates and Rs. 1400/- in case of SC/ST/Disabled (PC)>39%. The application fee can be submitted through online mode (credit card/debit card/internet banking). The application fee is non-refundable in any circumstances. Candidates can follow the steps given below to fill the online application form of JET Agriculture 2019. Click on ‘Application Form’ Tab. Then, click on “Click for Online Application” link. Fill the details such as Name, Father Name, Mobile Number, Email ID, Date of Birth, Gender, etc. Now, Click on “Save” button. Note down the password and registration number and keep it safe for future logins. Now, click on “Pay Online Application Form Fee” button. Proceed to pay the fee. Click on ‘Fee Payment’ tab. Select the mode of payment and click to ‘Pay the Fee’. Fill your personal, academic, educational details. Go to the section of ‘Upload Images’. Upload the photograph of 5H X 4W cm size and signature of 2H X 4W cm size, which is pasted on a plain paper. Scan the images in jpg/jpeg/pjpeg/png/bmp/tif/gif format with 80 pixels per inch resolution. The size of photo with signature should be in between 30 to 50 KB. Reservation certificate should be in pdf format of size 100 to 200kb. Scan marksheet of 10th and 12th should be in between 100 to 200kb. Check all entries carefully and click on ‘Submit’ button. After successful completion of application fee and submitting fee, candidates can take a printout. Take a printout and keep extra printouts of it for future reference. Preserve the application form for counselling procedure. If you have any query related to the How to fill JET Agriculture 2019 Application Form, you can ask us by leaving your queries in the given below comment box. 12th me Biology chemistry physics subjects vale candidates JET ka forme apply kar sakte he kya…jinke agriculture subjects nahi he…? Whats the document needed for defence priority for ex army..
No, it should be latest. 12th passout math se h.kya vo agriculture sub se exam de skta h.? ?usko math optiom me feel krna jruri h ya nh..
Sir cast certificate jaruri hai kya? It should not be expired. I am the student of 12th class. can i able to fill the application form of jet. please reply fast. Yes, you can fill if your result will be declared before counselling. Does cast certificate is mendatory for OBC non-creamy layer candidates.p ka reply soon it’s urgent. If you are applying under this category, then it is necessary. R/Sir, I want to appear in jet for ug course ,I am not able to find on line appl. form for the same instead I am getting appl procedure for jet pre pg course.Kindly guide me to apply for jet ug exam. For servicemen ward from where i can get relationship form or priority form. I filled the form for jet but it was unsuccessful . But the fees I paid got accepted. What to do now?How can I get that money back?Or shall I submit the form again?? Try to submit form again or should contact to the official authority.